As I mentioned earlier this year, I managed to accidentally buy a drone with Matt W, namely a Parrot Bebop 2 which was intended for use in Les Arcs to maybe, just maybe, get some “non-standard-GoPro-hammering-down-the-trail-holding-on-for-grim-death” type footage. The basic idea was that the Bebop would be small enough to carry in our packs and stable enough to not get blown away by sudden alpine gusts of wind at the top of Mont Jovet on Saturday. So, this weekend a few of us headed up to the Punchbowl with the Parrot neatly tucked into Matt’s pack (tick) and with the Parrot’s “Follow Me” functionality installed and ready to go (tick). Basically what this allows you to do (trees and other obstacles permitting) is get the Parrot to focus on the person carrying the controlling phone and it’ll try its best to auto follow you down the trail, keeping you in focus as best as it can. There were a couple of “holy crap” moments as the Parrot sailed VERY close to a couple of trees but essentially all was good. You have to ride quite close together if you’re trying to get a group shot and I’m not sure how the Parrot is going to handle if speeds get very high. However, I’m genuinely impressed and it bodes quite well for trying to film above the tree line in the Alps at any rate. Checkout the our first attempt below. 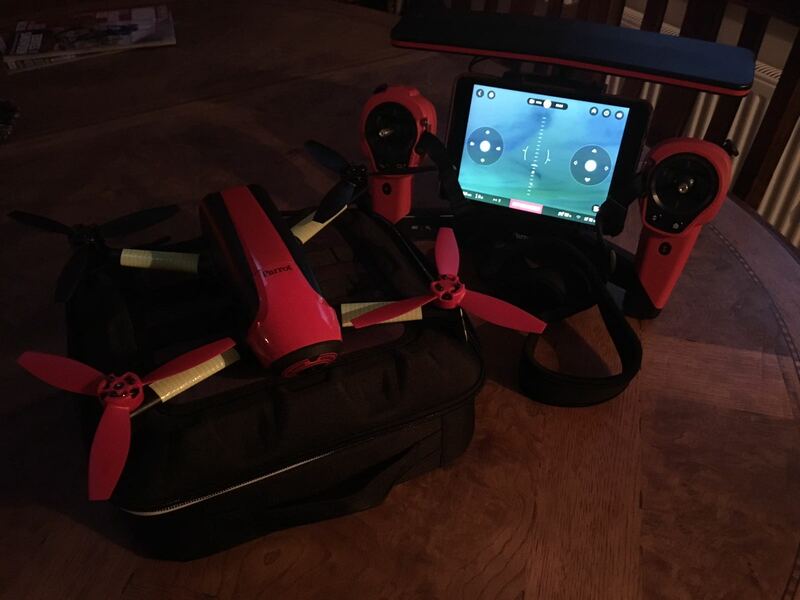 Well, snow or no snow, I decided I needed to cheer myself up yesterday (more on why I needed to be cheered up later this week) and I should probably get the drone that I’ve “accidentally purchased” with Matt W out and to have a go flying it “on the trail” as it were. The Bebop 2 is a properly funky bit of kit and Matt and I are trying to make sure we are capable of taking this thing out on a ride, without the need for the ride being all about the filming. Or at least thats the plan! 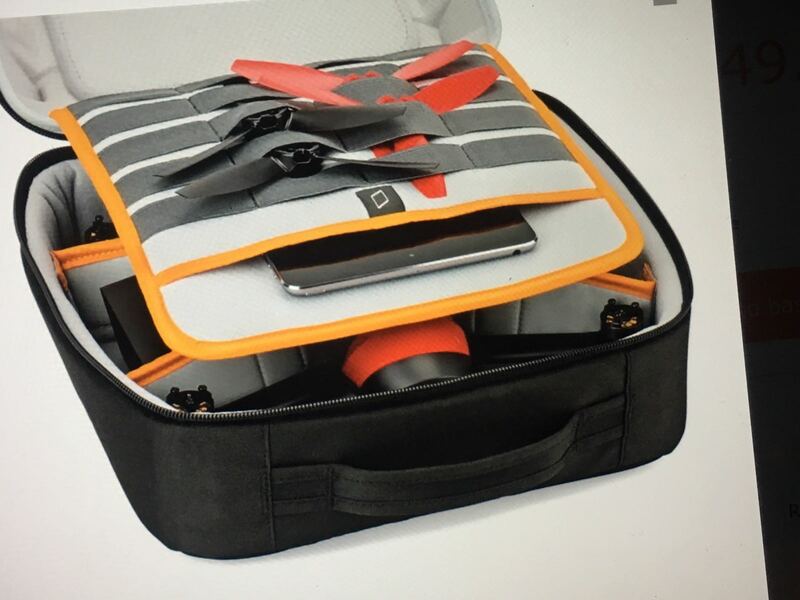 So to that end, we’ve bought a groovy little Lowenpro bag which takes the drone, two batteries and the props all snuggled up with lovely padding. It’s also small enough to strap to the back of a pack – although I’ve not tried that yet. The Parrot also has a big chunk “Sky Controller” (the big joysticky thing above) which you attach your phone or tablet into and use to fly it. The Sky Controller is really good and very easy to use, even for a fat fingered goon like me (which is saying something) and it has a massive range extender transmitter thingy on the top so you can fly it over a km away from where you are (not tried that either!). However, and more realistically for MTB, you can fly the drone just from your mobile – which is what yesterday was all about trying out. So I headed up to the Devil’s Punchbowl and walked down to one of my favourite trails “Flat out Fun”, determined to try some drone camera angles imagining I would be filming some bikes. Take a look at the video below to see the first results. 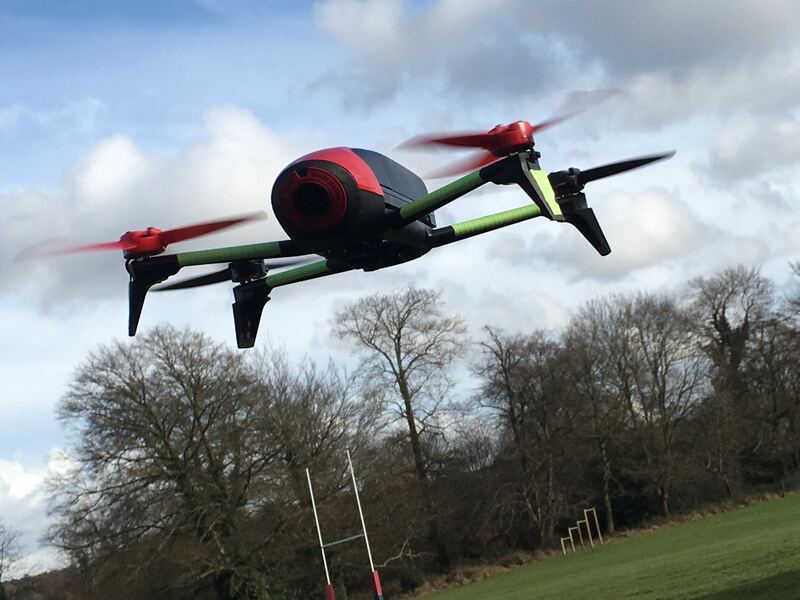 Controlling the drone from the phone is really scary – and much harder than using the Sky Controller. I was totally paranoid about the wireless range between the drone and the phone. Not helped by the fact that the live stream to the phone starts to break up after about 20 metres. “Buttons are not toys”. If you randomly press things when flying a drone weird things will happen which will totally freak you out. If you want to see what I mean, forward the video to 2.44! So the next plan is to try out both the “follow me’ functionality as well as the waypoint flying stuff. I suspect if I’m honest the drone is probably better at flying itself than I will ever be. 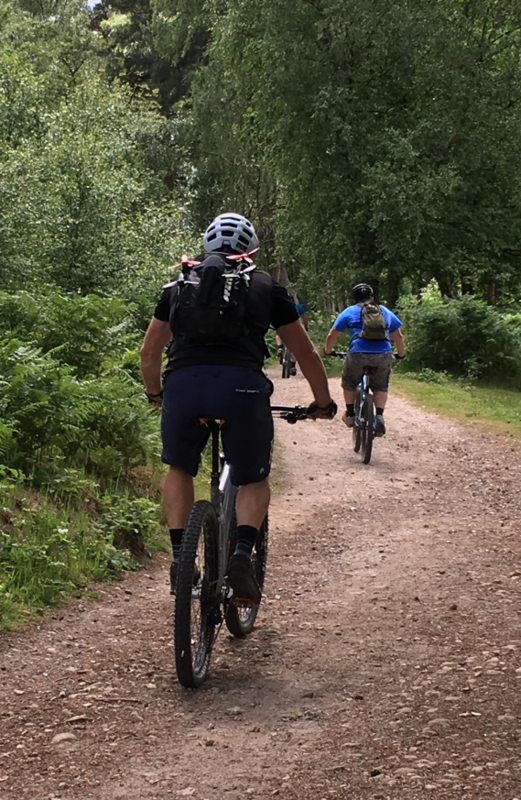 However, I do need get out on the bike and film some TFITers coming down the same trail – what could possibly go wrong? So, hand’s up, I’ve been known to make the occasional ‘accidental purchase’ of MTB kit in the past. In fact I’ve got quite a bit of “previous” in this department as the long suffering Mrs M will confirm (e.g. one set of Hope Rims… *cough*). 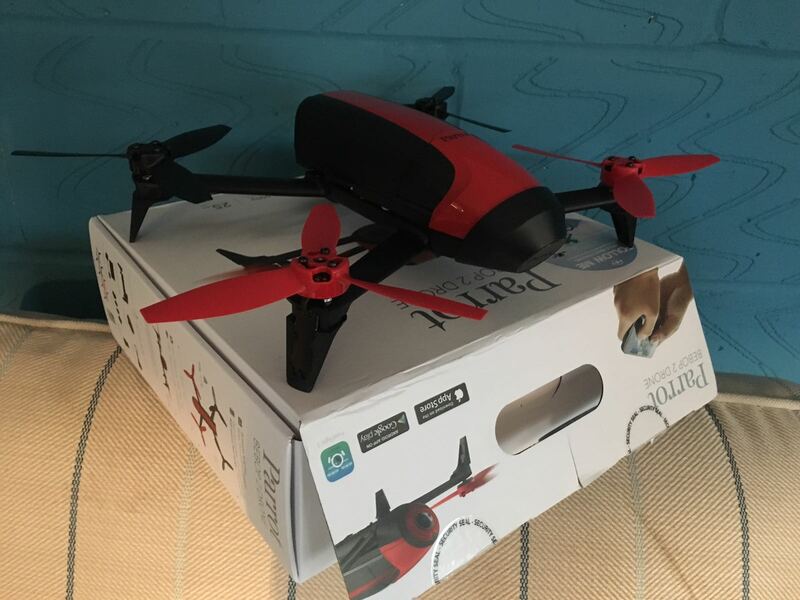 But I think I’ve reached an all time high this week because I’ve only gone and bought a drone. 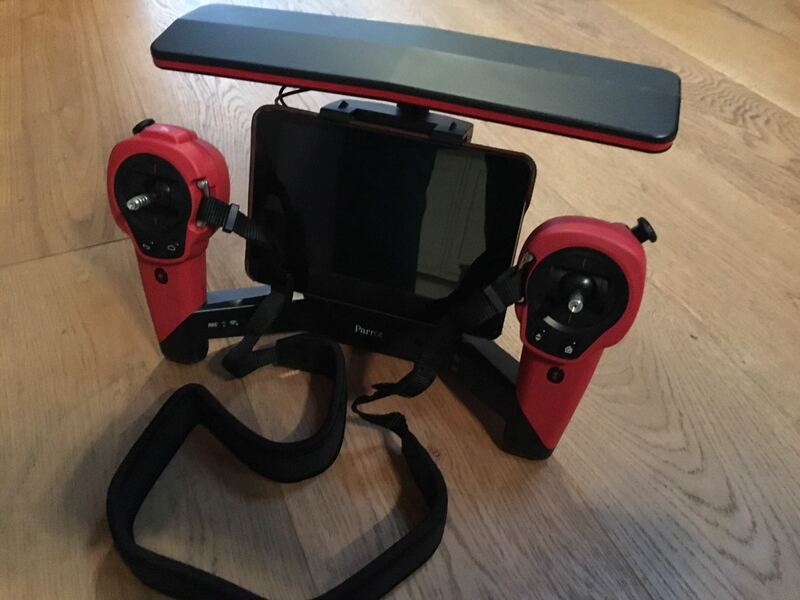 Yep, me and Matt W are now the proud owners of a Parrot Bebop 2 (courtesy of eBay) that we’re jointly buying. Personally I 100% blame Matt as all I really said was “I think I might be interested in getting one later in the year… maybe“. Matt thankfully (??) did not hear the words “might” or “maybe” (perhaps he knows me better than I think) and pinged me a text a couple of days ago about an uber bargain he’d spotted. A flurry of emails / texts later and the drone was ours. 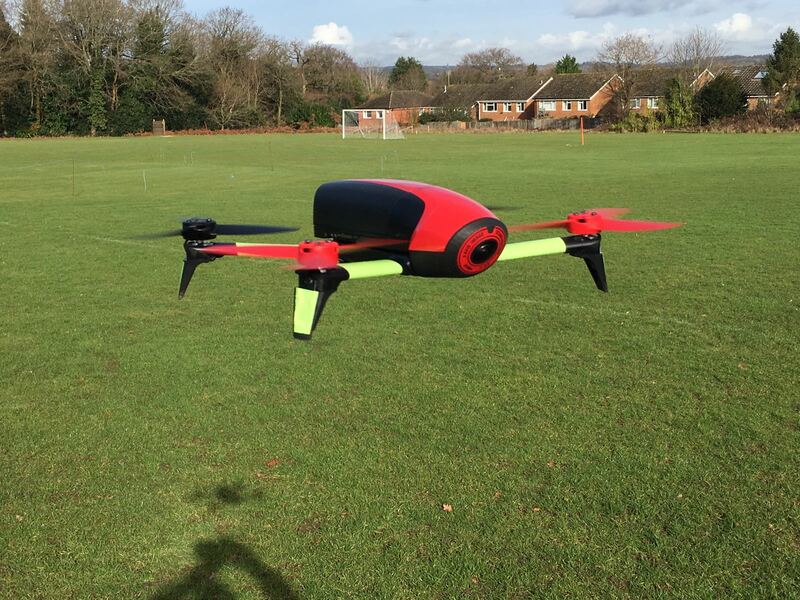 Now to be fair Matt has a genuine motive for buying a drone bearing in mind the work he does with the frankly awesome Surrey Search and Rescue people and the practice it would afford him. Me on the other hand, I’m simply mad as a box of frogs with misplaced pretensions of the “Kubrick”. Highly misplace pretensions some would say in truth. However, in my world there are some Surrey Hills trails that I would dearly love to see from an “aerial” perspective as the TFITers ride them. There are two in particular (Marbles and Flat out Fun) that I’ve “visualised” riding for years from a kind of drone’s perspective in a bid to ride smoother and quicker. I’ve had some success in that department but I still know my line choice is not great, my cornering could improve, my body position is wrong etc, etc and maybe just maybe this thing will help to show me where I can improve. I’d also (although I’m unsure of how practical this is going to be) like to get a “top of the mountain” shot when we head to Mont Jovet in Les Arcs later this year. That would be a Les Arcgasm moment for me. 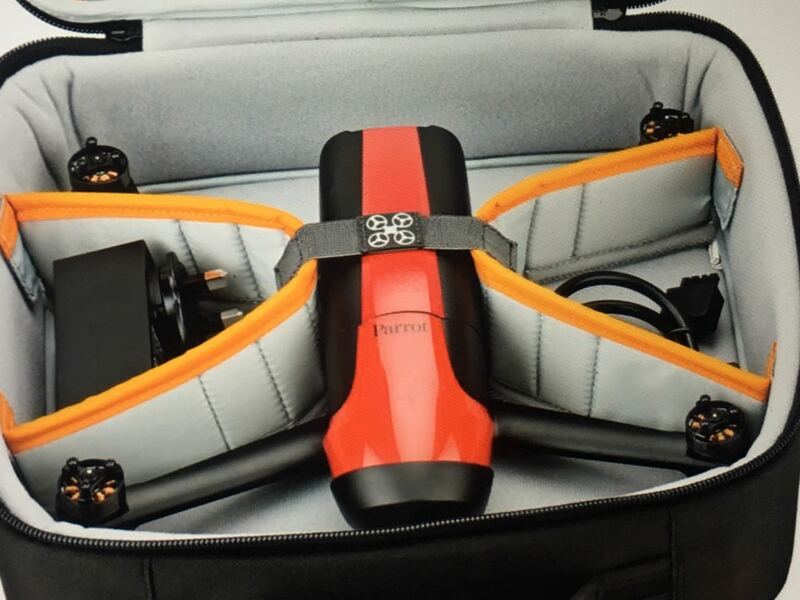 What I’m also hoping for is that this is a bit of kit that it’s feasible to take with you on a ride – kind of a GoPro+ as it were – without weighing as much as a small micro-pig in your backpack. I’m not 100% convinced yet if this is in realm of a vague possibility but that’s not diminishing my all round excitement. So, watch this space for some utterly appalling piloting / filming skills in the near future as well as a general all round review. Oh yeah, if you live in Surrey and you hear a buzzing while out on your bike – my advice is to duck and run for cover.